My journey into the legal profession began when I was young. Growing up, I always had the drive to find a path in life that would allow me to make a difference in the lives of others. Initially, I thought that I would follow a path that would lead to medical school, but while studying for my undergraduate degree at the University of Florida, I realized that my talents might be better utilized in legal studies. After graduating from the University of Florida in 1981 with a degree in psychology, I was quickly accepted into the Nova University School of Law in Fort Lauderdale. During my time in law school, I had the privilege of serving as the chief justice of honor court, where I picked up valuable knowledge and experience from some of the brightest legal minds in the state at the time. After three years of hard work and determination, I was able to earn my Juris Doctor and pass the Florida state bar in 1984. Upon graduation, I knew that I wanted to focus my time and efforts on helping clients who were often left in a position of great need, but with little support. After spending a few years getting my feet wet, I decided to go out on my own and start my own practice dedicated to personal injury law. Helping people has always been a passion of mine. I’m proud to have the opportunity to help those in need get back on their feet. After six years of practicing law, I was ready to set out on my own and run my own legal practice. I knew that by opening my own firm, I would have the ability to personally manage my own caseload and focus all of my time and attention on the needs of my clients. 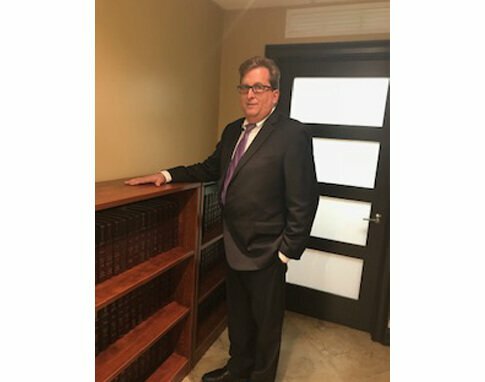 So, in 1990, I opened the doors to the Law Office Of Layne Verebay in south Florida. Shortly after opening the firm, I brought my sister Jackie on board as office manager to help organize cases and maintain client relationships. Armed with my drive to succeed and my passion to make a difference, I began working with clients throughout southern Florida to provide the very best in legal counsel and support to accident victims. Whether it was an auto accident, a wrongful death, a slip and fall injury, or a simple bicycle accident, I began working around the clock to meet with injured victims and help them seek compensation that could assist them in the recovery process. Through my work, I found that I empathize with personal injury victims the most because I've had the opportunity to witness firsthand the physical and emotional toll that a significant injury can have on a person. Things can become even more difficult for these people once medical bills begin to pile up. That's why I believe in doing what's right by helping these victims seek compensation that can cover their medical costs and simplify the process of recovery. Now, after over 30 years of practicing personal injury law, I've had the honor of helping countless clients across the state of Florida seek the justice and the compensation they deserve so that they can recover from their injuries and begin to put the pieces of their life back together. Working for injured victims has been one of the most rewarding experiences of my life, and I can't imagine focusing on anything else. Through it all, I'm proud to offer the highest level of legal counsel and representation to my clients, regardless of circumstance. I'm committed to putting the needs of my clients first, and I personally guarantee that I'll do everything I can in an effort to achieve the best possible outcome for every client that walks through my door. Whatever the details are of your individual case, I'd love to sit down and discuss what you've been through and go over the legal options you have. If you or someone you know has been injured in an accident, call the Law Office Of Layne Verebay P.A. today to schedule a free consultation. Together, we can help get your life back on track.